This remark came just days after his comment that “the leadership should own up to defeat and failures”, in an apparent reference to the BJP’s defeat in the assembly elections in Rajasthan, Chhattisgarh and Madhya Pradesh. Gadkari later said that his statements had been “twisted”. UNION MINISTER and senior BJP leader Nitin Gadkari on Sunday warned that political leaders who don’t fulfill the dreams they peddle will get “thrashed” by people. “Sapne dikhane waale neta logon ko acche lagte hain, par dikhaye hue sapne agar pure nahi kiye to janta unki pitayi bhi karti hai (People like political leaders who show them dreams. But if those dreams are not fulfilled, the people thrash these leaders),” said Gadkari. “Isliye sapne wahi dikhao jo pure ho sakein. Main sapne dikhane waale mein se nahi hu. Main jo bolta hu, woh 100 per cent danke ki chot par pura hota hai (That is why you must only show dreams that can be fulfilled. I am not among those who show dreams. Whatever I say, I fulfill it 100 per cent),” he said, while addressing a gathering here to launch a new BJP-affiliated transport outfit — the Navbhartiya Shiv Vahatuk Sanghathana (NSVS). 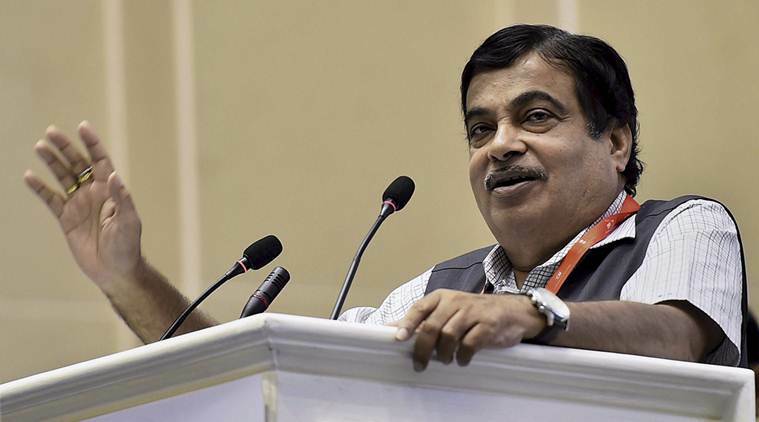 Gadkari, who is the Minister of Road Transport & Highways, Shipping and Water Resources, River Development & Ganga Rejuvenation, highlighted his ministry’s ambitious project to turn rivers into waterways and plans for making road transport safer and more reliable. He said road projects worth Rs 5 lakh crore had been sanctioned in the state. “Success has many fathers but failure is an orphan, as when there is success, there will be a race to take credit but in case of failure, everybody will start pointing fingers at each other,” he had said. “Leadership should have the ‘vrutti’ (tendency) to own up the defeat and failures,” he had said. At the IB function, Gadkari had also said that he liked the speeches of India’s first Prime Minister Jawaharlal Nehru. “Tolerance is the biggest asset of the Indian system,” he had said. “You can’t win elections only because you speak well… you might be a vidwan (learned) but people may not vote for you. One who thinks he knows everything is mistaken — people should refrain from artificial marketing,” he had said. Earlier, he had said that “some people in the BJP need to speak less. Politicians, in general, must be more economical while interacting with the media”. Meanwhile at Sunday’s function, Gadkari inducted Bollywood actor Isha Koppikar into the BJP. She has been named as the working president of the NSVS, which will be headed by former Shiv Sena leader Haji Arafat Sheikh who recently joined the BJP. She will also head the BJP’s women transport wing in Mumbai, and be the party’s brand ambassador on issues of road safety, it was announced. The NSVS is seen as the BJP’s attempt to counter Shiv Sena’s Vahatuk Sena in the transport sector.